Garden Gazebos Designed And Built To Turn Your Back Garden Into A Place You Want To Spend Time. 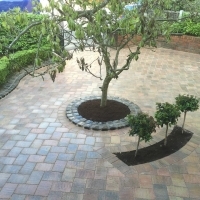 If you are looking for a professional landscape design company that treats every project with the same high levels of attention to detail and quality finish, you should contact Beauscape today. We have built up a reputation built on us taking on projects that require innovation and by sharing our ideas and experience with our customers. 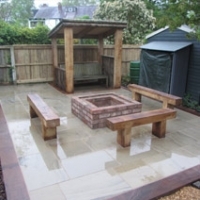 We have produced hundreds of high quality gazebo and landscaping jobs for many satisfied customers across Manchester. Our gazebo and garden designs always take on board your requirements and are finished to a superb level that will make your heart sing every time you go out in the garden. Residential homes – adding style, class and practicality to any size of garden and creating a snug place to retreat to when the sun goes down. Commercial gazebos installations – we can provide specialist composite decking and paving as well as gazebos, smoking huts, railing systems or shelters on any size of project across Manchester. School gazebos installations – we can design and build canopies and shelter systems for outdoor classrooms, covered play areas or whatever your school needs. Holiday park decking installations – if your holiday home needs a functional and stylish Gazebo in your outdoor area, our gazebo design and build service is ready for you. 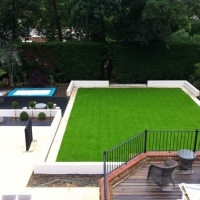 We transform landscapes and property using only high quality durable materials from sustainable sources. We never compromise in any aspect of the business whether it is on site or in terms of the friendly professional customer service levels, which is at the core of our business. Beauscape are the experts at gazebo design and construction that is GUARANTEED to delight you with the quality of materials, the efficiency of onsite work and the finished result that will give you years of hassle-free use. Just fill out our quick and easy form or call us on freephone 01625 318 911 to get a FAST quote back from the North West’s best gazebo design and build company.